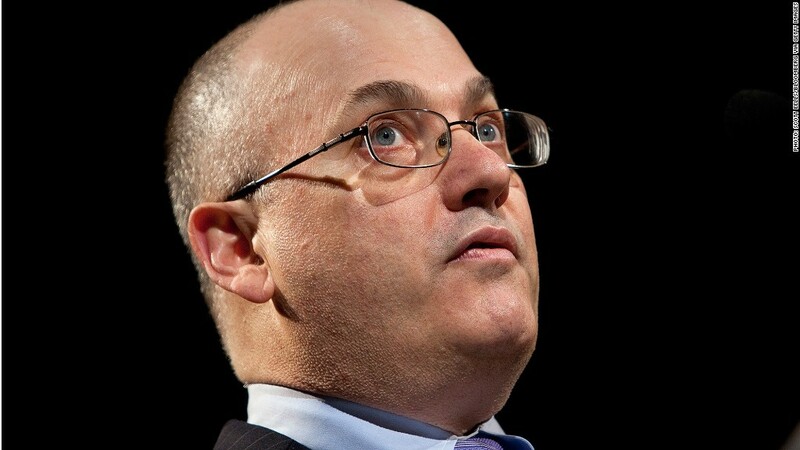 The feds are circling around Steve Cohen, targeting employees of his firm SAC Capital for insider trading. The feds have been circling hedge fund titan Steven Cohen and his firm SAC Capital Advisors for some time, sniffing around for signs of insider trading and making peripheral strikes on people who've worked there. They swooped in again on Tuesday, getting a bit closer to their prize. Though they didn't name Cohen in their criminal complaint, they charged his former portfolio manager Mathew Martoma with insider trading in a $276 million scheme. "They have followed the trail, so to speak, from witness to witness, from defendant to defendant," said Thomas Gorman, a former senior counsel in the enforcement division of the Securities and Exchange Commission who now represents defendants of SEC cases. SAC Capital spokesman Jonathan Gasthalter denied any wrongdoing by his firm or its owner, and said that they actually helped with the investigation. "Mr. Cohen and SAC are confident that they have acted appropriately and will continue to cooperate with the government's inquiry," said Gasthalter. The feds have targeted seven other employees of SAC Capital in the last two years on allegations of insider trading, including two who worked at its subsidiary, CR Intrinsic Investors. Three of the SAC employees -- Choo Beng Lee, Donald Longueuil and Jon Horvath -- pleaded guilty. Others made deals with the feds, including Noah Freeman, who was a cooperating witness, and Jonathan Hollander, who settled with the government. "In the case of Mr. Cohen, they've found people that used to work with him, but they haven't found evidence that he's involved in insider trading yet," said Gorman. "What they're doing is they're sort of following the witness trail." Preet Bharara, U.S. Attorney for the Southern District of New York, called the Martoma case the "most lucrative" insider trading scheme ever. His criminal complaint charges Martoma with securities trading fraud. In it, Bharara details Martoma's alleged pharma stock pump and dump scheme, based on inside information of Alzheimer's drug trials at Elan (ELN) and Pfizer's (PFE) Wyeth. Martoma collected a bonus of more than $9 million before he was terminated from Cohen's firm in 2009, according to federal documents. Martoma's lawyers maintain his innocence. The U.S. Attorney did not identify Martoma's hedge fund and did not name the hedge fund's owner. But the SEC, which also leveled charges against Martoma and his hedge fund advisory firm, identified the firm as CR Intrinsic Investors, which is a subsidiary of SAC Capital Advisors. SAC Capital is the $13 billion hedge fund run by Cohen, who placed fifth on AR, a hedge fund trade magazine's, rich list this year, earning $585 million in 2011. In its complaint, the SEC said that Martoma worked closely with "Portfolio Manager A," described as the "owner and founder of Investment Adviser A and CR Intrinsic" and "a senior portfolio manager at Investment Adviser A." The SEC also named the neurologist, Dr. Sidney Gilman, who first provided inside information to Martoma and then cooperated with feds. He paid a fine to settle the case and avoided criminal charges. "Mr. Gilman knew about the individuals he dealt with, but he didn't know about Mr. Cohen or SAC Capital," said Gorman. "So the government didn't have the information to charge Mr. Cohen or SAC Capital." The feds have been cracking down on Wall Street shenanigans, like the insider trading allegedly perpetrated by Martoma from 2006 to 2008. April Brooks, special agent in charge with the Federal Bureau of Investigation, said the arrest of Martoma was "the latest in the FBI's five-year campaign to root out insider trading at hedge funds and expert networking firms, which has resulted in more than 70 arrests to date."